Fundraising target | €10,000 to support the work of Open Doors. Project cost | € 1.100,- excluding airline tickets. Language | This international Muskathlon is organised by 4M Netherlands in cooperation with Open Doors Netherlands. There will be English translation aviable for all international pariticipants. Let no one know you own a Bible. Pray with a soft voice. Don’t sing loudly. And don’t ever tell your children you are a Christian. If you do, you’ll end up in prison, just like 1 in 6 of any other Christians who live in prison camps. Torture, extortion, and executions are a daily practice and the chance you’ll live to tell is smaller than small. 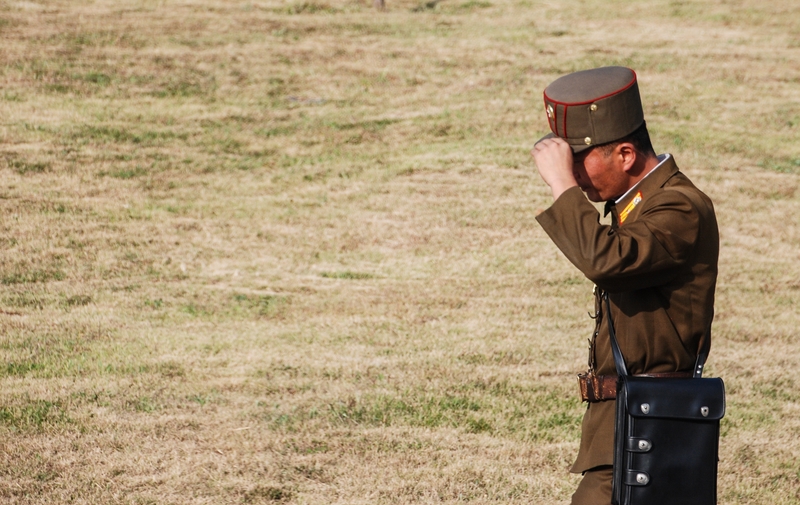 Are you ready to meet North Korean Christians who have been imprisoned? Are you ready to stand at the border and pray, together with Koreans for their Northern neighbors? If so, you should sign up for the Muskathlon to the frontline of the spiritual battle: the Korean border area. The Muskathlon is an ultimate challenge at an extreme location to raise maximum funds for persecuted Christians. This Muskathlon will take place between 24 April and 3 May 2020. 4M organizes this trip in close cooperation with Open Doors, to support the persecuted Church worldwide, especially in North Korea. Signing up for a Muskathlon with Open Doors means you’ll get to the frontline of the spiritual battle. It’s a fight that is taking place all over the world. The heaviest battles are fought in North Korea. There is no other country where it is that hard to be a Christian. After several trips to the cradle of Christianity, the Middle East, it’s time to travel to heaviest battle scene. North Korean Christians, once they’ve escaped, testify of the immense power of prayer they experienced through their hardship. They let us know our prayers were heard and felt. Open Doors and 4M believe that we can make a difference in the spiritual battle by getting involved. If you are not afraid to put on your armor, if you like physical exercise and if you are prepared for an emotional rollercoaster; this Muskathlon is for you! During the Muskathlon in South Korea, you will get to know North Korean refugees as well as field workers of Open Doors who help North Korean Christians. You will discover the price of following Jesus Christ. You will see eye to eye with the dark powers that keep North Korea in its grip. But most of all you will be a blessing to the people behind the barbed wire, by presence, your prayer and your sweat. During the Muskathlon day, you will take part in either a half marathon, a full marathon, an ultra marathon of 63KM, a hike of 63 KM or a Mountain bike trail of 120 KM. € 1,100 excluding air fares. This Muskathlon starts officially on the 24th of April and ends on the 3rd of May 2020. It is not possible to join later during the week or to leave earlier. Keep in account that extra travelling days outside of the Muskathlon week can be necessary. If neither 4M or Open Doors find a way to book airfares on the given dates for most of the group, start and end dates of the Muskathlon week can be shifted. You will be notified about this long before the trip. The cost of shipping your Mountain bike are not included in the airfares. Costs vary between airliners, so ask your airline company for prices. Signing up for the Muskathlon happens on Muskathlon.com. After signing in, you will make a down payment of €100. After the payment is received, your personal Muskathlon profile will become available and your fundraising page will be active. Part of the funds that will be raised, will be used for operational costs of the Muskathlon.